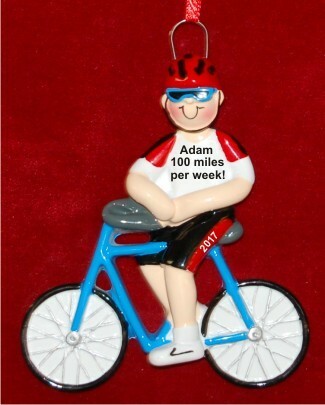 If you enjoy free time on your favorite ride and road or trail, then this male cycling ornament personalized for you will be a great addition to your tree. The personalized male cyclist ornament is a fun gift for other bicycling enthusiasts on your list too, a bright, cheerful addition to any holiday display. It’s one of many personalized biking ornaments from Russell Rhodes and a great start or addition to a bike ornament collection. These are hand personalized ornaments, so the lettering will be more stylish than shown in the sample. 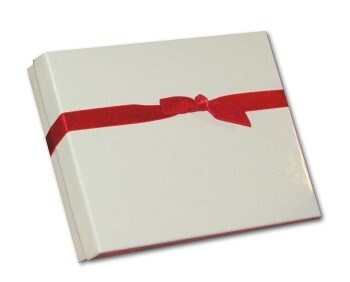 A display cord and our classic velvet gift pouch are included.